Krishna consciousness isn’t like a school subject for which there’s no practical life application. It’s the science of being who we are. 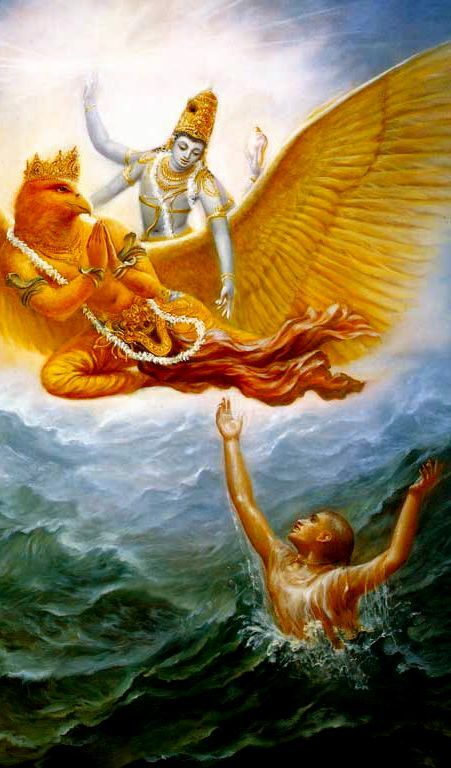 "Krishna consciousness means to work in full knowledge of one's relationship with the Supreme Absolute, and the perfection of this consciousness is full knowledge of Krishna, or the Supreme Personality of Godhead." Anyone can practice Krishna consciousness. Everyone is naturally Krishna conscious, but illusion keeps us from experiencing our true selves. As soon as we start practicing Krishna consciousness, we feel more like who we really are—eternal, full of bliss and knowledge. Practice at Home—Practical "how-to"s, stories, tips, tools, and meditations for anyone wanting to practice Krishna consciousness right now, right where you live. Mantra Meditation—Learn all about mantra meditation—how to focus on the spiritual sound of God's names—and how the essence of all yoga practice is to re-connect with God Himself. Spiritual Food—All about preparing and offering food for the satisfaction of the Supreme Lord. How is this done? What are the great spiritual benefits of eating Krishna prasadam? Devotee Association—An essential ingredient for becoming steady in spiritual life. Hear from those who've made the quantum leap of faith toward Krishna consciousness, and learn why it's impossible to make spiritual progress in a vacuum. What kind of people practice Krishna consciousness? Kirtan/Sacred Sounds—What happens when the power of music is harnessed, focused, and directed towards glorifying the Supreme Person? Something extraordinary.